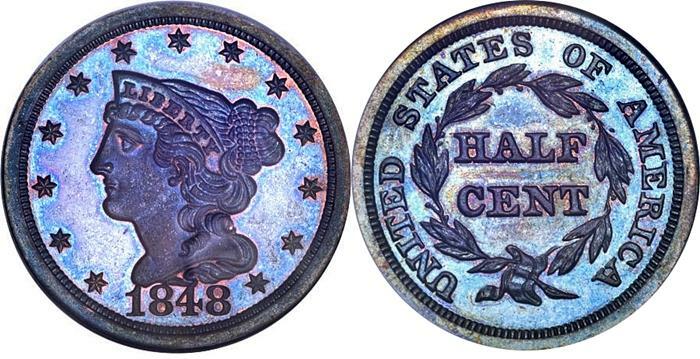 Half Cent coinage types where never popular, and where even given a non-affectionate nickname, "Half Sisters"; during this era that was a negative connation. The coins barely circulated, mintages where often interrupted by low demand and copper shortages, melted for their precious metal content and an often changes in the design to make them more appealing to the public. In part, these design changes resulted in a large number of die varieties and marriages.